Food manufacturing, food service hospitality and retailers should take note. Apparently now all you have to do is bring out a salad sandwich and it's National News! 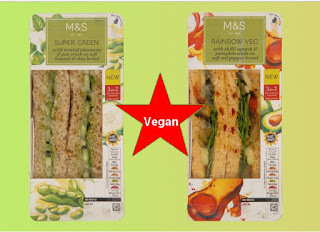 Finally after many years of badgering Marks and Spencers / M&S made a sandwich without a little bit of dairy in it, a habit which has been annoying vegans for a very long time.